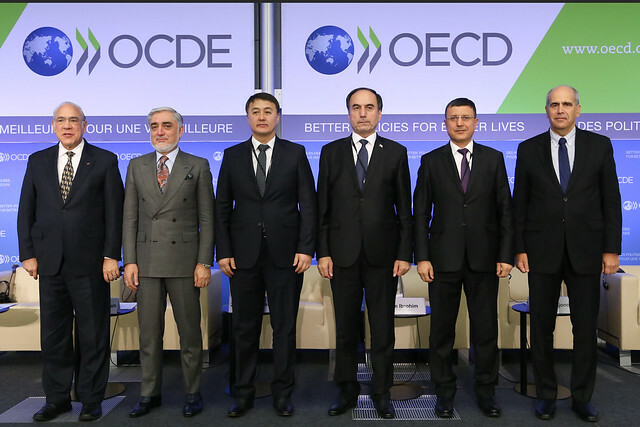 OECD Eurasia Week 2018 - OECDeurasia@10 took place on 19-21 November 2018 at the OECD Conference Centre in Paris, France. As 2018 marks the 10th anniversary of the OECD Eurasia Competitiveness Programme, speakers were invited to reflect on the main lessons learnt over a decade of challenge and reform in the region and to consider how those lessons should shape policies for the years ahead. Under the theme OECDeurasia@10: Drawing the Lessons, Shaping the Future, OECD Eurasia Week 2018 included peer reviews of Afghanistan and Azerbaijan, and monitored the progress made by Georgia, Kazakhstan and Ukraine in implementing OECD recommendations during the OECD Eurasia Competitiveness Roundtable. There were also dedicated sessions on connectivity, regional economic integration and gender. OECD Eurasia Week includes several high-level policy dialogue discussions to share best practices and experiences in addressing common challenges in the region. The OECD Eurasia Competitiveness Roundtable was established in 2013 as a joint platform between OECD members and Eurasia partner countries to carry out peer reviews in the framework of the OECD Eurasia Competitiveness Programme. Eurasia Week 2018 took place at the OECD Conference Centre in Paris, France. The list is completed as new sponsors and partners are confirmed.